Real-time analytics capture data as it is collected, providing timely insights and immediately usable guidance for decision-makers at all levels. Data is everywhere. Every day people create over 2.5 quintillion bytes of data, and that number keeps rising as the Internet of Things expands. More importantly, data scientists are learning more and better ways to ethically collect data. There’s enormous transformative potential hidden in that data – if businesses can find a way to analyze it in time. Enter real-time analytics, a way to interpret data at its freshest point. Real-time analytics, also known as streaming analytics, involves analyzing data as it enters a system to provide a dynamic overview of data, its current state, and emerging trends. It puts data to work as soon as it’s available. Real-time analytics is done through the use of continuous queries. The system connects to external data sources, pulling fresh data and enabling applications to integrate specific types of data into its operations or to update an external database with newly processed information. The practice stands apart from descriptive, predictive, and prescriptive analytics. All of those require a batch of historical data to be exported and analyzed. In real-time analytics, software intercepts and visualizes data as it’s collected. Of course, data isn’t a single-use item. It can be funneled into other analytics methods as well. The advantage is that by using real-time analytics owners can start putting their data to use while more in-depth processes run. Batch analysis provides a host of useful insights, but it takes time. Waiting on results delays the availability of information. In some cases, the potential value of the insights gained is worth the wait. After all, Artificial Intelligence exponentially reduces the amount of time needed for deep analysis. Sometimes that short window matters, though. Data ages fast, and much of it is most useful within a short window after collection. Its value degrades as it ages. Demand is surging for a specific service. There’s too much inventory of a perishable item building up. A customer is in a brick and mortar store. A customer has been searching for a type of product in the app. A marketing campaign is flagging unexpectedly. All of these insights need to be acted on quickly. If data owners wait for more thorough analysis, any actions taken have a weaker effect. The client leaves the store, or sales don’t quite meet their potential. Real-time analytics is the tool that provides timely insights to aid executives in ongoing management and rapid response. It isn’t a replacement for other analytics. In fact, more through forms of analytics are usually where analysts find the best performance indicators to track using real-time analytics. There’s a synergistic effect: predictive analytics suggests that a specific situation will lead to a major issue if left unchecked, then real-time analytics identifies the beginnings of that situation in time to act. The most lucrative uses of real-time analytics fall under one of two categories: solving problems before they become major issues and spotting opportunities in time to take action. As mentioned earlier, descriptive and predictive analytics are incredibly useful for highlighting the best key performance indicators (KPIs) to track. They aren’t always responsive enough to detect the changes that signal the earliest stages of a problem, when small corrections can have a large impact. That’s where real-time comes into play. Streaming analytics tracks KPI as they’re recorded, flagging anything that might be a concern. The sooner a company can move on an opportunity, the greater their potential for profit. Real-time analytics helps narrow the gap between receiving indicators of a time-sensitive opportunity and being able to act on that information. Streaming analytics are usually displayed through dynamic visualizations which are easily understood by busy executives. They’re a low-complexity tool for integrating integrate analytics usage into daily operations. Integrating real-time analytics into the decision-making process is a huge advantage. Companies who use it are more responsive to actual conditions instead of playing catch-up using outdated data. When potential windfall conditions form, they have the forewarning to maximize their profit. If there’s a problem brewing, they can take action to minimize the disruptions. It’s also easier to judge the impact of new programs with a constant stream of data. This helps to level the playing field between small to medium businesses (SMBs) and large companies. SMBs can exploit their data to achieve higher efficiency while large companies gain the fine control and fast responsiveness of SMBs. Real-time analytics don’t impose a perfect balance; multinational corporations tend to have better analytics programs while small businesses can be more flexible in response to changing customer needs. They are, however, becoming necessary for companies that want to stay competitive. In short, companies who aren’t maximizing their data usage are handing their rivals the competitive edge. The digital media giant collects streaming data on when their content is viewed, where it’s shared, and how it’s being consumed by more than 400 million visitors a month. Employees can analyze, track and display these metrics to writers and editors in real-time to guide targeted content creation. Royal Dutch Shell, better known simply as “Shell”, uses real-time analytics in their preventative maintenance process. The system collects and monitors data from running machines to spot issues before they break. This saves a huge amount of money from lost productivity and secondary equipment failures caused when something breaks. Package delivery depends on a seemingly endless number of factors, and customers expect their packages within the delivery window regardless of outside circumstances. The UPS system tracks scores of data points to provide real-time “best route” guidance to drivers. It also updates depending on office hours (for commercial deliveries) and customer change requests. Putting real-time analytics to work comes with its own set of challenges. Bad data leads to flawed insights. Companies need to have a system in place to monitor data quality to ensure it comes through the pipeline ready for analysis. A business intelligence tool can’t work if no one wants to use it. There’s no getting around the fact that pushing real-time analytics will cause workflow disruptions in the beginning. The trick is to sell the team on its value using actual success stories from other projects. When they understand what they have to gain, they’ll be more willing to work through the early disruptions. Data security is a serious concern with every business intelligence project. A major security leak puts both the company and its customers at risk. Know where data comes from, set up strong security protocols, and be sure it’s being collected legally and ethically. The point of real-time analytics is to gather time-sensitive insights for immediate use. Flooding the dashboard with irrelevant data or things unlikely to make an impact in the short term can hide those valuable insights. Identify KPI that have an immediate potential impact and prioritize them for streaming analytics. Always have a specific business reason for adding KPI to the tracked list. Encourage management (and decision makers at all levels) to refer to data early and often. If a new course of action is suggested, ask what the data says. Provide resources for learning how to access company data intelligence products. Lay out company guidelines for collecting, vetting, and using data. This kind of cultural shift starts at the top, so be sure data is king in the C-suite as well. There’s a fine line between watching a problem grow without stopping it and abandoning a good plan before it’s had a chance to work. For example, a restaurant location accidentally orders more fruit than they’re likely to need. A regional manager spots the problem and launches a digital ad campaign along with tableside upsells to use as much as possible. It takes time for customers to find and respond to ads, so the manager should wait to see if the promotions work before searching for another solution. Data intelligence has the greatest impact when several techniques are used in combination with each other. Small changes noticed during real-time analytics might not seem relevant on their own, but they could take on new weight when measured against historical data. Internal adoption can make or break a project. Choose stakeholders wisely during discovery, and make an effort to win support from the entire team before launching a new analytics program. Many real-time analytics tools are built into enterprise software. When a company moves beyond those entry-level options, it’s critical to make quality as important as cost. Substandard tools are often worse than nothing. They cause frustration among the team and lower the project’s chances of success. Stay within budget, but be sure it’s a practical budget that puts core requirements in realistic reach. That’s easier than it sounds. Modern real-time analytics is surprisingly affordable between off the shelf software and modular custom software. Consider consulting a developer before making a purchase to be sure it’s worth the investment. Real-time analytics is a tool that needs to be maintained. Stay on top of software updates and maintenance. Enforce good data management policies, and use common sense. If results seem strange, find out why instead of acting anyway. Have realistic expectations about real-time analytics. They’re a tool, and a powerful one, but they’re only as good as the data that feeds them and the people that use them. Keep practical considerations in mind and the benefits of real-time analytics can be transformative. Where should you start with real-time analytics? Our experienced developers can help you put together the right analytics program for your company. Set up a free consultation today! When designing enterprise software, prioritize business goals and long-term viability by choosing these business-oriented stack options. Enterprise software has its own special set of priorities. The architecture needs to be scalable but cost-effective, secure yet user-friendly, and above all should deliver the kind of high-quality user experience that gets results. Trying to balance business pressures with technical realities can be a challenge for even experienced developers. What gives those experienced developers the edge is knowing the best tools for the job. Every technology has distinct advantages and limitations; using ones whose strengths play into those enterprise priorities leads to superior software. Here are some of the best back- and front-end technologies around for building powerful enterprise software. Having a single language across the stack breaks down communication barriers among the team and makes for more easily maintainable software. Built on Chrome’s v8 engine, Node features non-blocking IO. It can handle multiple requests simultaneously, meaning apps scale better, run faster, and take up less system RAM. The Node Package Manager (NPM) is one of Node’s biggest draws. It houses an expansive repository of packages created and tested by other developers, that’s growing every day. The continued value offered by Microsoft’s .NET is a compelling argument for using mature technology over tools which are “cooler” but less tested. This open source cross-platform development platform is used to build, deploy, and run modern Windows applications across devices and environments. Technically, .NET has a lot to offer. It’s easy to write and maintain, which both contribute to lower development costs. Developers have plenty of tools for building in security from the start. Plus, .NET lends itself well to horizontal scaling. That combination of value and enterprise features is what’s kept .NET popular even as newer tools are released. Despite being developed back in 1994, PHP is still the most common language for server-side development. About 79% of all websites use at least some PHP. PHP’s popularity is due in part to budget concerns. It’s open source, and all features and updates are free to use. Since it was designed specifically for the web, developers need less time to create websites with dynamic features. Open source tools and shorter development cycles translate into a smaller upfront investment. The other half of PHP’s appeal is ease of use. One of its core strengths is powering database-enabled websites with intuitive content management systems (CMS) that can be managed by non-technical employees. Employees are able to update and query their own system without having to do more than a short tutorial. As of 2018 Python is the fastest-growing programming language out there. It emphasizes clarity, simplicity, and versatility, putting developers in the best position for high productivity. The fast edit-test-debug cycle makes it useful for Rapid Application Development, too. What’s really fueling enterprise growth is Python’s data science applications. Companies that want to stay competitive need to make the most of their data. As a flexible, high level programming language, Python can create the machine learning tools and analytics software to help turn that data into actionable business insight. In a mobile market where companies have to balance development speed, platform coverage, and budget, it’s easy to see why ReactNative is gaining ground. Apps look and feel like native apps because they render like native apps. Besides providing near-native performance, ReactNative has the same economical appeal as hybrid apps. Developers can build one app, then tailor it to cover multiple devices with only minor changes. Maintaining that single code base is both easier and less expensive than juggling a collection of separate native apps. Angular, part of the enterprise-oriented MEAN stack, is a flexible tool for building organized mobile and web apps. It focuses on simplicity as well as ease of testing and construction. The newer versions come with a variety of “starter seeds” for different purposes, and there are in general a lot of ways to do the same thing. That gives developers the flexibility to design exactly what they need. Privacy-conscious customers also like that Angular is optimized for security. Angular is suited to CRUD client-side apps, though Single Page Apps (SPAs) are the most popular applications right now (especially those that require a lot of data retrieval). Plus, as a Google property it’s a solid choice for projects which rely heavily on other Google technologies. Vue can be used to add interactive elements to an existing project or expand a page’s functionality instead of building a whole new SPA. Progressive Web Apps (PWAs) are a common Vue application. Although it isn’t a complete framework like React or Angular, it shares benefits like faster development and lower costs. In addition, Vue’s small size and lazy loading of components gives it an edge in speed. It’s a perfect example of a tool that does a few things well rather than dividing its focus across a huge feature set. While these are all enterprise-friendly stack options, keep in mind that there’s no magic technology that fits every business plan. Each project has unique priorities. Sometimes performance is the overriding concern. Sometimes it’s more important to cover as many platforms as possible in the least amount of time. Be sure to choose stack technology that supports the client’s business goals. It may take more consideration up front, but it’s the best way to avoid the hassle of being stuck with an ill-fitting stack. Business intelligence may have transformative potential, but it’s also a significant investment. Too often, that investment goes unrewarded. Last year Gartner found that 70% of corporate business intelligence initiatives fail before reaching ROI. Even when projects succeed, they are used by less than half of the team. The lesson to be learned from this isn’t to avoid business intelligence, though. There’s too much to be gained from using data to build a dynamic, factual model of operations and customers. Instead, executives should address one of the root causes of BI failure: internal resistance and a general lack of adoption. Try these approaches to build team support for business intelligence. Employees have a full set of regular duties to handle. Learning and using business intelligence adds more to their slate. A well-designed system will save them time and effort once established, but they need to be motivated to put in the effort to learn new tools. Business intelligence seems like an esoteric concept to some. It can be hard to see a direct connection between data and results. Instead of throwing out dry statistics, frame business intelligence in terms of what it can do for the team using real examples. Before early initiatives, find success stories from competitors or comparable organizations. Use those to build excitement for the upcoming project. Once each phase of the business intelligence project is finished the results can be marketed to the internal team to keep that positive momentum going. When pitching business intelligence to the team, keep reviews specific but short. Choose clear metrics that demonstrate the actual effects of the project without getting bogged down in details. There’s no incentive to change if staff can default to the old system. People get comfortable in a routine, even when it isn’t effective. They prefer to stick to what they know rather than learn new procedures. Nudge resistant team members out of their rut by removing the option to use old systems whenever possible. Don’t disrupt everything at once, but do have a schedule for phasing out old tools and switching to new ones. Publicize the schedule so it isn’t a surprise when old programs won’t open. At the same time, make it easy to adopt business intelligence. Be sure users are properly trained on the new tools, to include putting reference materials where they can be easily accessed by everyone. Sometimes resistance stems from embarrassment or unfamiliarity, so also refrain from criticizing team members who need extra training or refer to training material frequently. Misalignment between business needs and tool function is a leading reason for lack of adoption. IT gets an idea for something they can build to collect new data, but it isn’t geared towards an actual business goal. The product becomes busy work that distracts staff from core functions. Business intelligence tools need to address specific pain points order for the team to use them. They should have a clear purpose with an established connection to existing business goals. It’s also important that the new tool is demonstrably better than the current system. If the tool takes ten minutes to update every day and the old system took five minutes twice a week, it won’t be adopted. Along the same lines, favor simplicity in function and design. Don’t build an overly complicated multi-tier system only engineers can understand. Aim for a unified dashboard with intuitive controls and a straightforward troubleshooting process. Finally, don’t overlook the value of employees as stakeholders in any business intelligence initiative. They have “on the ground” knowledge of internal operations that can guide the creation of a more targeted system. Take advantage of their expertise early in the development process. Include key internal team members when gathering stakeholder input during discovery. Go beyond management and choose representatives from the groups who will use the tools after release. Solicit and give serious attention to team feedback, both during and after release. Bringing the team in from the beginning does more than build better software. It creates a company-wide sense of ownership. When team members feel they had a hand in creating business intelligence tools, they become enthusiastic adopters. Above all, keep the process positive. 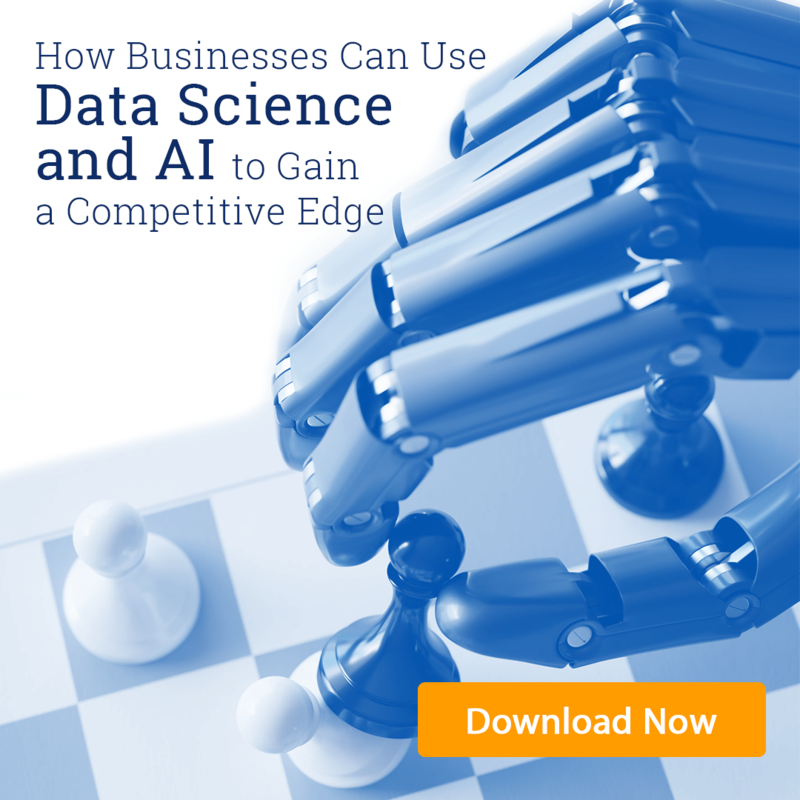 Encouraging adoption of business intelligence doesn’t have to be a battle of wills. Focus on potential gains, not punishment for failing to fall in line. Bring the end users in early, listen to their feedback, and build a system that helps them as much as it helps the company. When the team is excited – or at least convinced of the product’s value – they’re much more likely to adopt business intelligence in the long run. Every level of operations can benefit from business intelligence. If you have a project in mind, we can help make a compelling case for BI that encourages everyone to get on board. Sit down with one of our experienced developers to find out more!